My dad used to read James Herriot's books to me when I was a kid-such good memories! My dad turned me on to Mary Higgins Clark when I was a teenager. I've been a big fan since, although I find that her earlier books are much, much better than her more recent ones. I also like that her mysteries are clean and not as grim and gruesome as most mystery/thrillers. Louise Penny is another of my favorites. I adore the Inspector Gamache series. 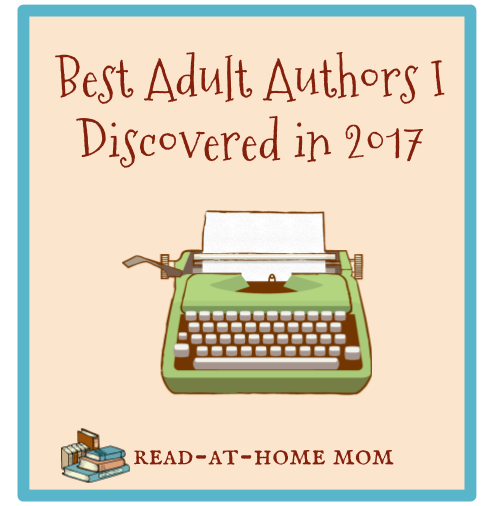 Glad you found all these great new authors this year. I love Julie Mulhern and Louise Penny was a new read for me this year and I'm so glad I tried her! I loved the first two and am looking forward to reading more in the series. I love the Shirley Jackson memoirs though I need to reread them. They're so funny and so true! I just love Shirley Jackson! I haven't tried a Louise Penny book yet, but I keep hearing that I really should. Great list! I love James Herriot! I got a chance to visit his house on a visit to Britain ten years ago (gosh, ten years already? ), and it was awesome. I also discovered Louise Penny this year after hearing so much love for her in the blogging world. I've listened to the first two books, and I'm hoping to get to more this year.